Some core work and single arm overhead walking lunges. As we approach the CrossFit open we’ll most likely see some movements like this. 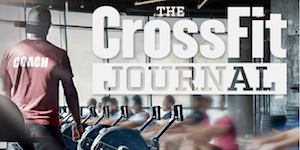 The past few years we saw lot’s of single arm, dumbbell or kettle-bell movements so we’re getting ready for the upcoming CrossFit Open 2019! Fill out the form to register for a free week trial and one of our trainers will contact you to help you get started. Amazon products that we like!